The Nokia Refocus app for Windows Phone has been rebranded with a new name. The app is now called Lumia Refocus in the spirit of Microsoft’s recent changes, which saw almost everything drop the Finns’ brand. Other than that, the app hasn’t been changed in any way. 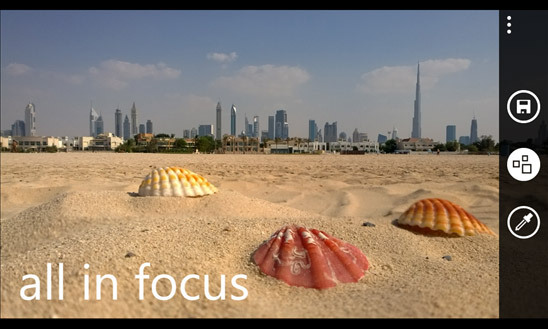 The Lumia Refocus lets you take a shot and choose what you want in focus later. You can choose effects such as “all in focus” and “color pop” and then share the Refocus photos. Sadly, the app works only on Lumia devices, leaving smartphones from HTC, Huawei and ZTE incapable of running it. In case you own a Lumia smartphone and haven’t given the Refocus app a shot, follow the source link below.